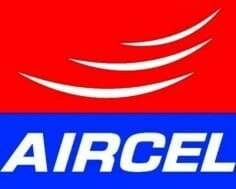 Aircel today launched a unique consumer initiative with Chennai Super Kings – Extra Talk Time with CSK with its full talk time of Rs 164, Aircel will offer extra talk time whenever CSK scores above 164 runs. For instance, in a match, if CSK scores 180 runs, the customers will get an extra talk time of Rs. 16 (Valid for 15days). The denomination of extra talk time will be valid from April 1st 2013 till the last CSK match of this IPL Season. The Extra talk time will be based on the runs scored by CSK team in the subsequent match.In case of CSK scoring less than or equal to the MRP, assured benefit of FTT and 5 Local Aircel to Aircel minutes will be offered. So today on recharging 164 we will get 200 tt.